Now that we’ve all enjoyed ringing in 2017, many of our friends and co-workers have taken the “Dry January” pledge to help detox and start off the year with healthier habits. We don’t want to be a bad influence, but we have a great product you might want to try next month! Shaker & Spoon began in October 2015 in Brooklyn, NY. They are a cocktail subscription box company that sends its original recipes and cocktail ingredients- allowing subscribers to buy the liquor themselves, according to their budget and preferred brands. Shaker & Spoon currently produces house-made specialty syrups and will soon be expanding into other branded lines of ingredients! 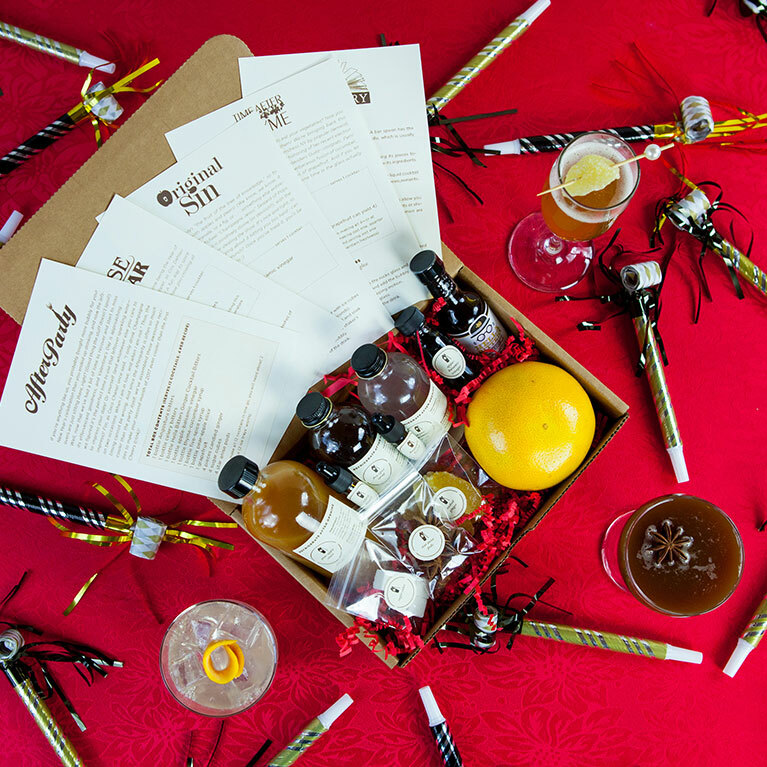 How it works: each month, subscribers receive a box with 3 new recipes developed by various bartenders along with everything they need to make a total of twelve drinks (minus the alcohol.) Prices range from $50 for a month-to-month subscription and $135 for 3-month prepay. You can skip or cancel anytime! Order by January 31st to try the Afterparty Box! Sign up and use code PMT15 to save 15% OFF your 1 month or 3 month subscription! If you’re anything like us, you probably bought more bubbly for your New Year’s festivities than you ended up drinking, and now the leftovers are just sitting there, right? (Good thing the stuff doesn’t spoil!) 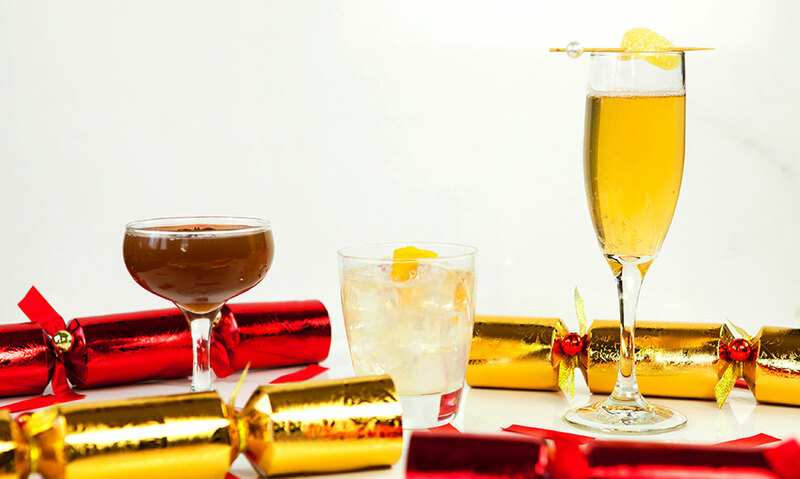 Luckily the folks at Shaker & Spoon have thought of a way to put those bubbles to use—They’ve assembled some awesome recipes to keep the celebration going. Get excited to pop some more bubbly with February’s Afterparty Box! It’ll ship the week of February 6th (arriving in time for Valentine’s Day!). The Original Sin by Michael “Champagne Jesus” Seward of Pops For Champagne in Chicago is positively divine (or devilish? ), with the scrumptious pear-apple elixir (since the story just says “fruit of the tree of knowledge,” we’re using both apples and pears to cover our bases!) and the complex apple-balsamic vinegar both vying for your palate. It’s light and refreshing, so you can imbibe without worrying about it hitting you too hard—can you say perfect for a winter brunch? Time after Thyme by Pamela Wiznitzer of Seamstress NY back from the vault by popular demand, and also using it as a celebration and honoring of Pamela’s recent election to President of the United States Bartenders Guild—congrats, Pam! This audience favorite combines the herbaceous fusion of cucumber, celery, and thyme with the fresh citrus of grapefruit. Did Mom always have to force you to eat your vegetables? Now you can make her proud, by drinking them! Cris Dehlavi of M Restaurant in Columbus, OH, created a delicious twist on the classic champagne cocktail to celebrate the upcoming Chinese New Year using ginger bitters and a Chinese five-spice syrup (made with star anise, Szechuan peppercorns, cinnamon, cloves, and fennel). A fun way to invigorate a glass of bubbly, this wonderfully complex yet simple cocktail with a kick—aptly called the Chinese New Year —will have you crowing all month long. Looking to give a Shaker & Spoon subscription as a gift? It couldn’t be easier! All you need to know is your giftee’s email address, and that’s it! Shaker & Spoon send them an email telling them the good news, they input their shipping info and even decide which month’s box(es) they’d prefer to receive, you come out the hero. Forgot a special occasion? Shaker & Spoon send the email right away! Prefer to plan ahead? You can select whatever day you’d like for the gift email to arrive.